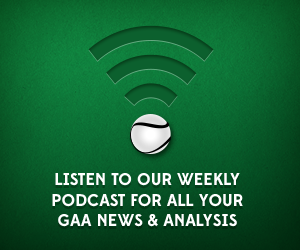 Carlow Senior Football Manager, Turlough O’Brien, joined Conor and Pearse on today’s show to talk about the GAA gambling sponsor ban, the CPA’s efforts to introduce transparency into the GAA, the danger of elitism to the game and Carlow’s charge towards promotion to division 3. Listen on iTunes, SoundCloud or Acast. Get in touch with us on Twitter, Facebook and Instagram.